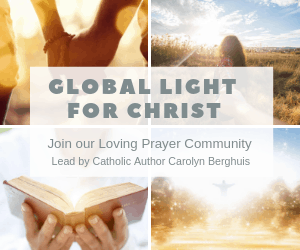 Welcome to our community, Global Light For Christ. I am happy you have found our blog. We are a group of sojourners coming together with love and support for each other in prayer and petition. If you have a prayer request please share it in the comment section below so we can pray for one another. I will personally pray for each of you. I ask all of you to pray for our little community. 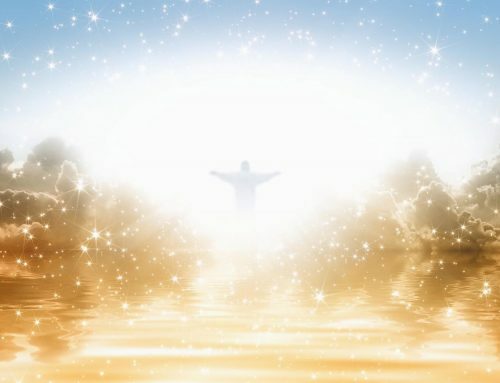 It is my intention that this blog becomes a healing space where fellow lovers of Christ come together and stand as beacons of light in the world. I have enjoy reading your reflection since my husband passaway on August 26 2018 i been lost. I just going day by day. I am still trying to find balance. My family is going 2 persons that has cancer onevis 16 minths old his mother is 33 years old. Please pray for them. The little boy has cancer in his brain before was in his kidneys and lungs. Dear Gloria, I am so sorry for your loss. Losing one’s spouse leaves a deep wound. Know that I am holding you in my prayers. I will continue to write reflections here – and I hope you find peace in them. Prayers to you and your family. 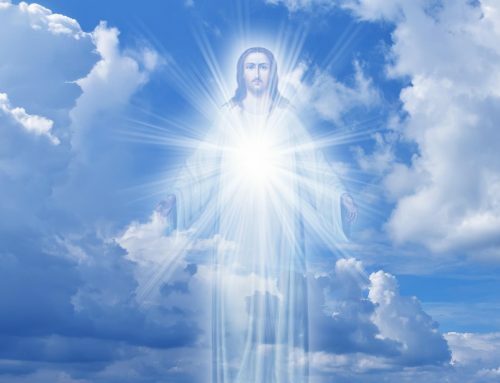 I pray that al of you may feel God’s loving arms wrapped around you. Dear Gloria, Thank you for your prayers. I am holding you and your family in my prayers as well. I am asking prayer for the release of Cardinal Pell. What he was convicted of seems almost impossible,, i.e., exposing himself in a cathedral sacristy, fully vested on a busy Sunday morning. Dear Bob, I will pray for Cardinal Pell and all involved. Please pray all of us as we start out this Lent, open our hearts to what you want us to be. Please especially pray for my husband, to be a convert of Christ, for Kasey to have a safe trip to and from New York, for Lisa’s healing from cancer, and that L and Anonymoose’s daughter find healing in their lives without an earthly father, that they daily learn more to love their heavenly Father, have Godly friends through school and find wisdom. I am praying for you and your prayer requests. Carolyn, please pray for my husband. Someone treated him poorly and his mind obsesses on it. I think he feels persecuted. He is so angry and wants vengeance. All I can do is listen and pray. (He’s, also on medications and with this current episode he is very fearful his meds are no longer working… very scary as he’s tried so many and some with nasty outcomes). Jesus, I trust in you. I am praying for you and your husband. They persecuted Jesus too… I will pray that your husband finds the peace of Christ through his trials. Perhaps my post from last Froday on forgiveness will help. Here is the link: Forgiveness, The Pathway Into Love. Six month’s after the daughter’s birthday I am praying for the reconciliation of mother and daughter, as I do everyday. Thank you Bob for your prayers. I continue to hold you in my prayers. Please pray for my son Jamie. He has serious back problems and lives with chronic pain. I’m worried about his mental state of mind and may be suicidal! I am praying for your son. Have you reached our to a suicide hotline? Here is a resource: http://suicidepreventionlifeline.org/. Perhaps reflecting on Mary’s “worry” when she couldn’t find Jesus. After she found him scripture tells us the following: “…and his mother kept all these things in her heart.” Just a thought. Thank you for your prayers. The urgent situation re: feeling persecuted by others is resolved. For now he had a clear head. I am very happy to learn this J!